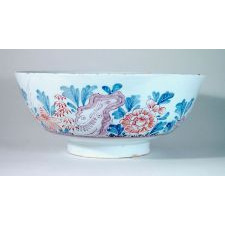 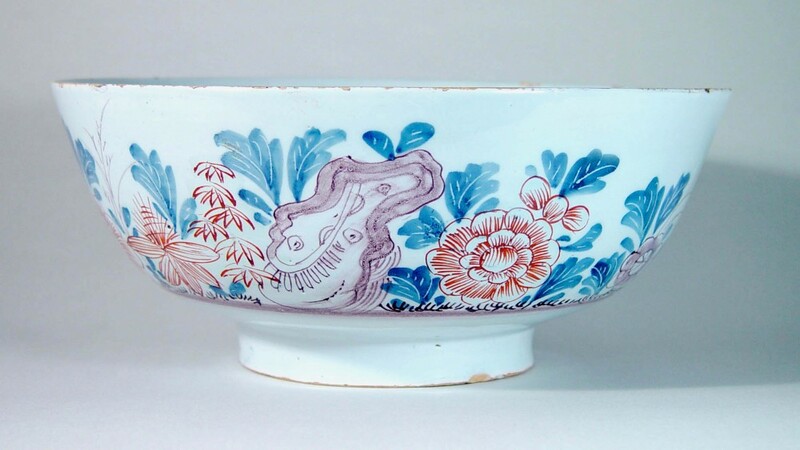 The bowl with a depiction of flowers and plants with rockwork in iron-red, blue and manganese. 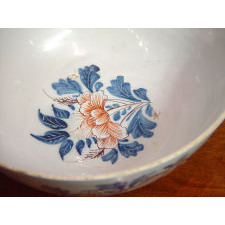 The scene runs around three-quarters of the bowl. 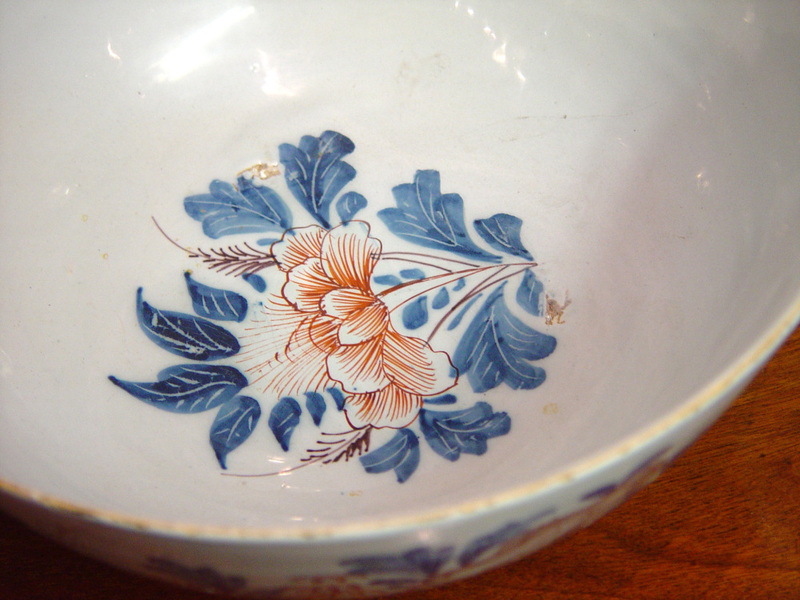 In the central well is and iron-red and blue flower with leaves.